In a week of action, starting on Monday, the force will focus on known or suspected drug dealing gangs to identify those exploiting children. They will also spend time in schools advising teachers of the warning signs to look out for if students are embroiled in gangs or at risk. Officers will also make children aware of the help available if they are in the clutches of a gang and they will urge youngsters to raise the alarm if they fear their friends are dealing. The operation is aimed at tackling gangs who befriend and groom children before recruiting them as dealers in neighbouring counties in a bid to stay ‘under the radar’. Those running the gangs use vulnerable children to face the rap should they be busted. Detective Chief Inspector Jon Cousins, overseeing next week’s operation, said the crackdown is aimed at stopping ‘the criminal exploitation of children and vulnerable adults’. He said young dealers are often victims rather than criminals and the aim is to ‘safeguard’ those dealing, often against their will, for organised crime gangs raking in cash. 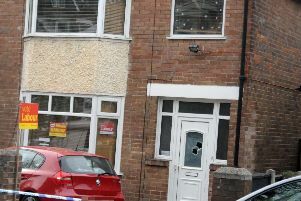 Drug raids are planned next week, homes suspected of being by gangs as a base for their activities will be visited and cars will be stopped to look for children being trafficked. DCI Cousins said: “Across South Yorkshire there are people being exploited and this is why we are doing what we are doing. He added: “There have been a handful of cases in South Yorkshire where young people have been found engaged in drug dealing activity outside of the area. “We need to make sure we don’t treat them as suspects but make sure that those being drawn in have an opportunity to be treated as a victim. He said children are used by gangs because it ‘takes the heat off’ those at the top. DCI Cousins said gangs often target those who are not already known to the police. Many are emotionally vulnerable and have little or no family support at home. “It gives them an opportunity to deal under the radar,” he said. The senior detective warned of the dangers of children dealing drugs. “They are often carrying, storing and moving weapons, such as firearms,” he added. “There’s a risk to them. To pass on information call South Yorkshire Police on 101.